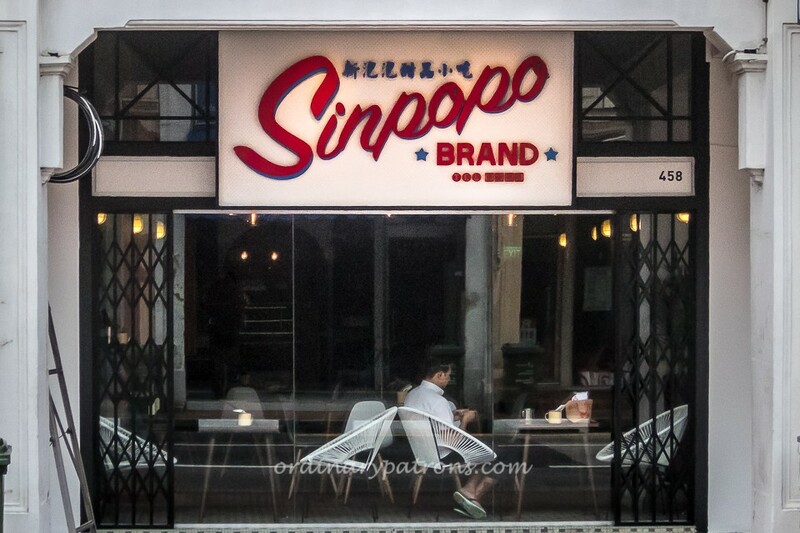 Sinpopo Brand, a concept cafe by the people of Awfully Chocolate, has undergone a re-branding. 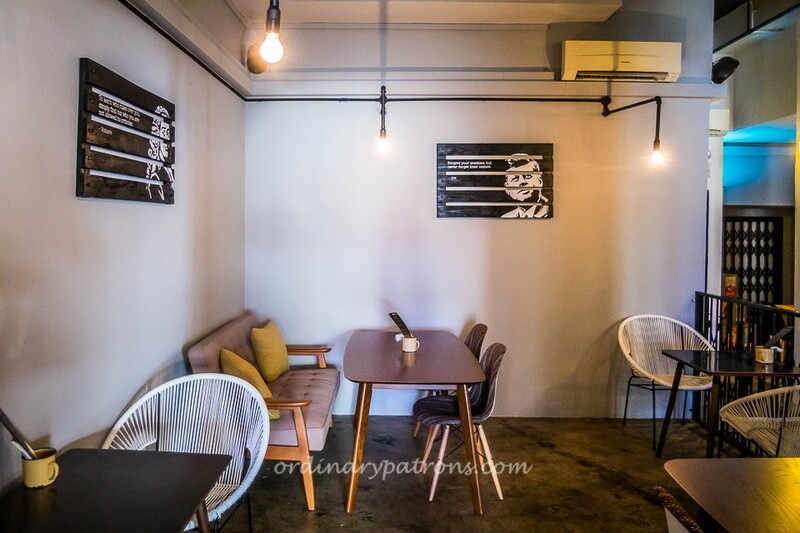 The 60s kopi tiam theme is gone and the cafe now has a modish look with retro elements in the decor. 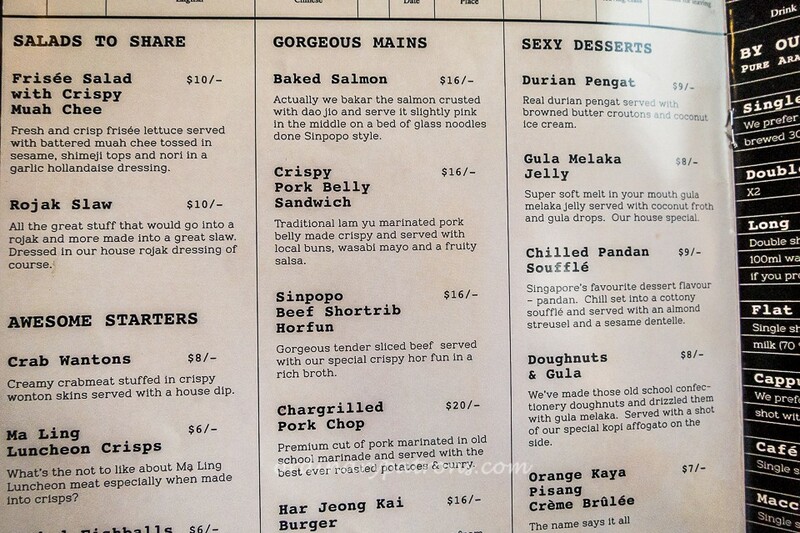 A new menu offers more interesting and enticing items. 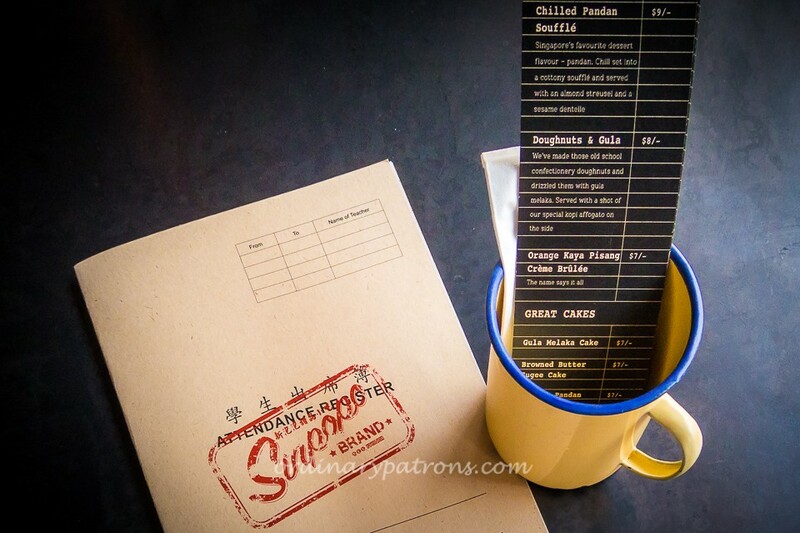 We like Sinpopo’s new dress and new locally-inspired menu items. The revamped cafe looks warm and inviting. Comfortable sofas and chairs have replaced the wooden stools. Lighting, service counter and wall decorations have all been updated. We are glad that they have not changed the use of the School Attendance Register as the menu. The menu has been expanded to offer a good range of starters, salads, mains and desserts. They no longer just serve unspectacular street food which you can easily get in many other places. 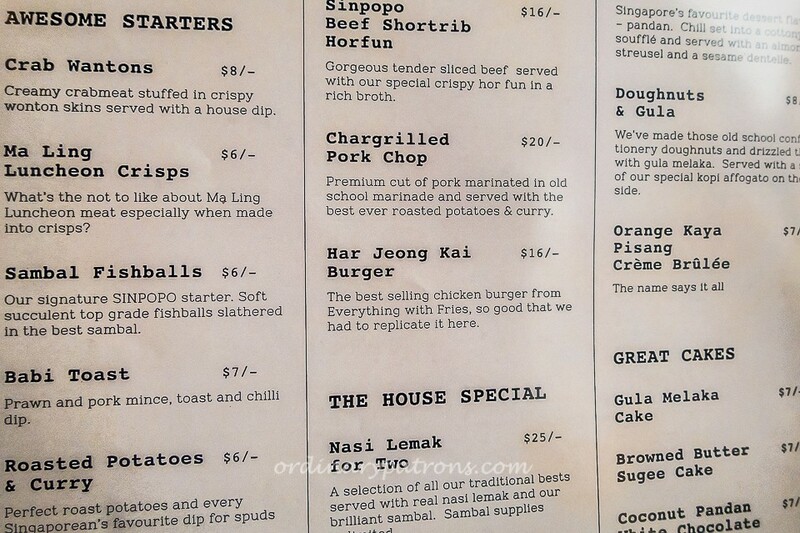 Now you can try Har Jeong Kai Burger – a crispy prawn paste marinated chicken in between handmade soft bun – or Beef Shortrib Horfun together with espresso coffee or traditional Kopi Peng. 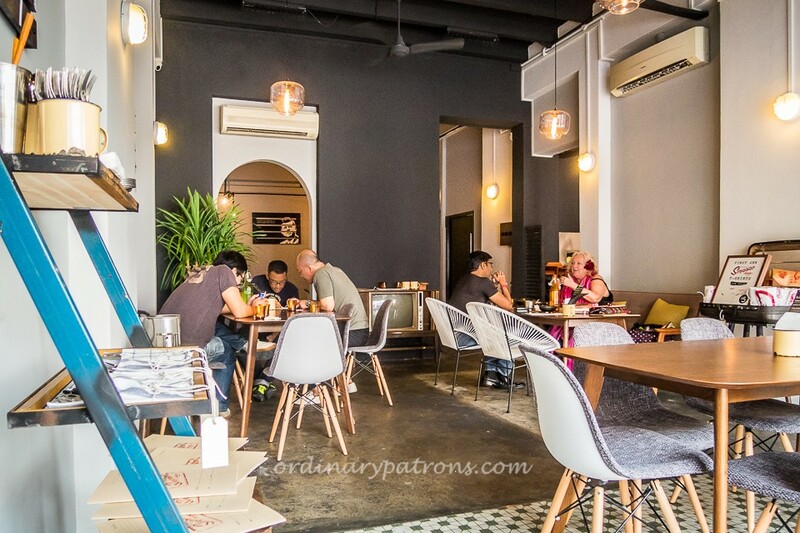 We tried their Rojak Slaw which was a cross between coleslaw and local rojak. It was nice but we thought that $10 was abit much to pay for rojak. 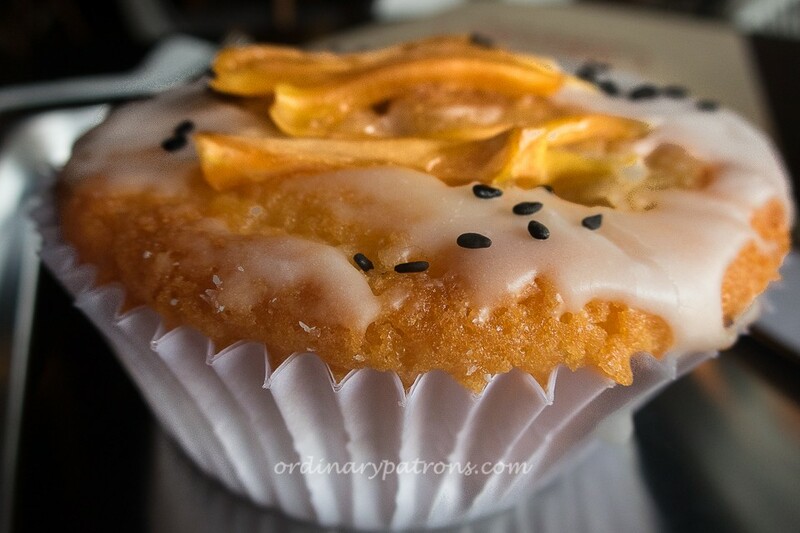 The new look Sinpopo Brand has an interesting selection of locally inspired cakes. 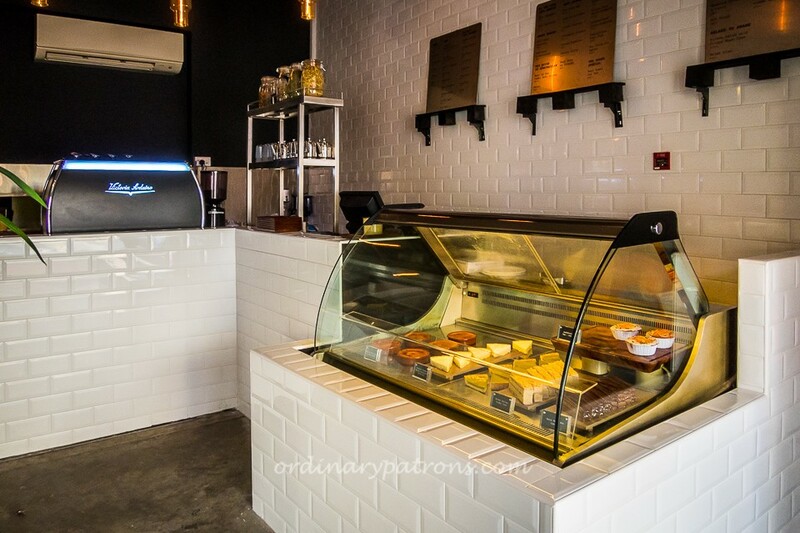 We tried their Jackfruit Tea-Cake ($6), Gula Melaka Cake ($7) and Chilled Pandan Souffle ($9). The presentation of the desserts was simple but quite unique and pleasing to the eyes. The tea-cake, served warm, was quite a large one. It was moist and the flavour of the jackfruit was clearly discernible but not overpowering. The Gula Melaka Cake was excellent. 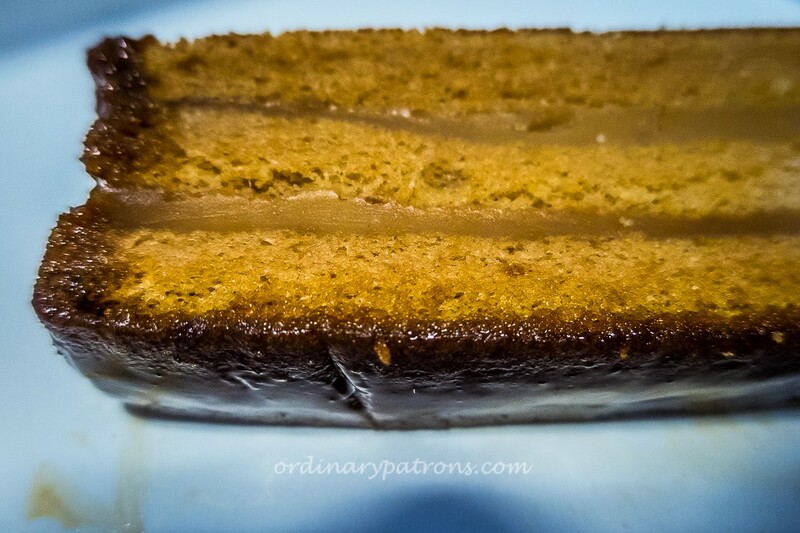 The layered cake with a generous amount of caramelised palm sugar had a light smooth texture. The distinctive sugary taste of palm sugar ensured that every bite of the cake was enjoyable. The Pandan Souffle did not look like a souffle but the combination of pandan, coconut milk, almond and sesame came together well. The dessert was quite delicious though not what we expected of a souffle. The Katong Jelly ($7) was a lime soda with jelly and too much ice cubes. It was refreshing but we felt that it was not really good value. The Sng Muay Pop ($5) was also lime soda with sour plums frozen in small ice balls. It was certainly interesting and thirst quenching. It brought back memories of how we tried similar concoctions in the past. The service staff was friendly and ice water was offered in nice orange bottles. 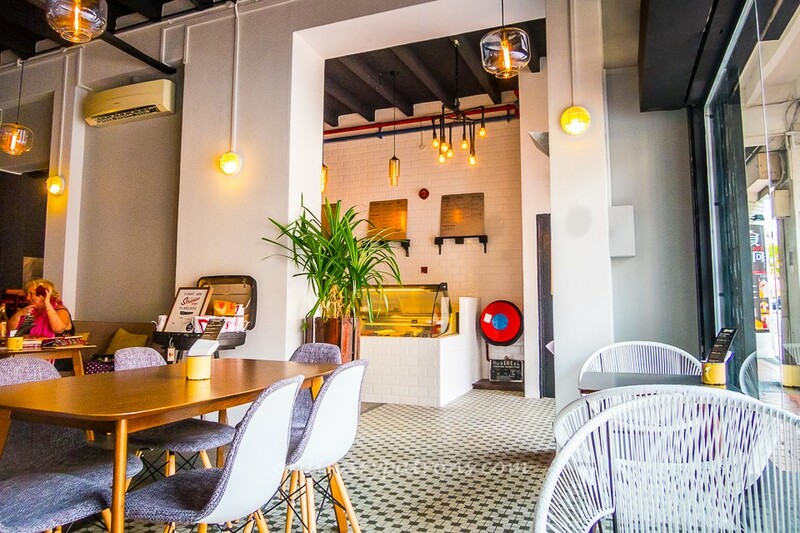 Tea at Sinpopo Brand cafe was enjoyable and we would definitely like to go there again to try their desserts and other interesting items on the menu. 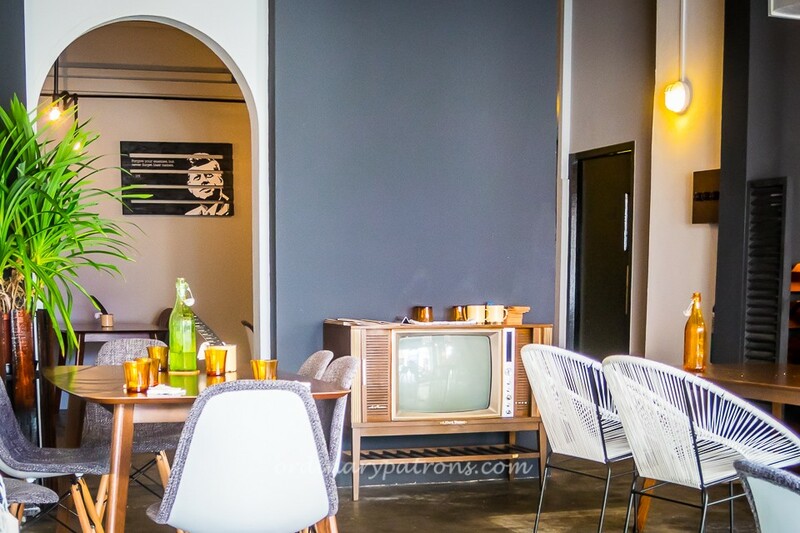 We like the atmosphere at the redecorated Sinpopo and we think the change is definitely for the better. I love your blog! I get to discover all these amazing places that I would not have otherwise known through it. Can’t wait to check these places out! Thank you so much. It is really great to hear comments like yours. We are encouraged to eat and write more – though very little is needed in respect of the eating part.